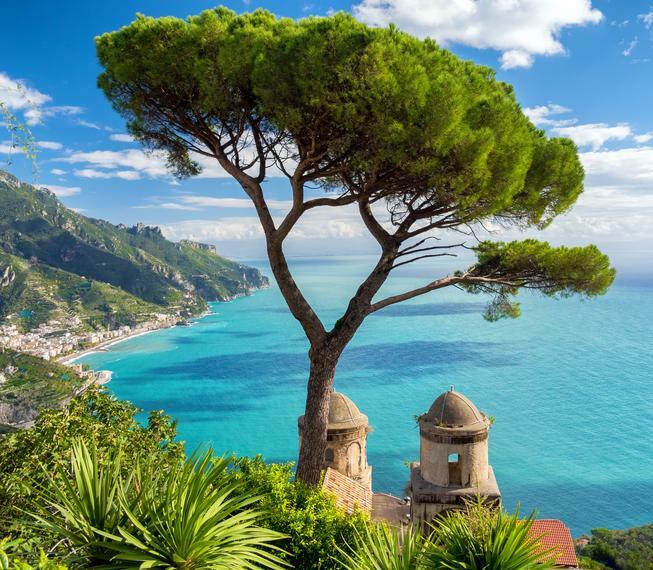 Ravello has been named the City of Music and is home to the Villa Cimbrone, Villa Rufolo, the striking Oscar Niemeyer Auditorium and a vibrant cultural scene: Ravello Festival, Ravello Concert Society. Thousands of years of history, an enchanting mountaintop setting on Italy’s most beautiful coastline and views that have captivated countless souls, inspired artists and filled hearts with passion. Yet it’s just the beginning of what you will find in this charming village on the Amalfi Coast. There are still stories to be uncovered along its medieval streets, garden villas and ancient stone pathways. We invite you to visit and discover the natural beauty, history and magic of Ravello! Its villas and vistas have enchanted visitors for centuries. Famous actors, authors, composers, and artists have come here for refuge and inspiration.